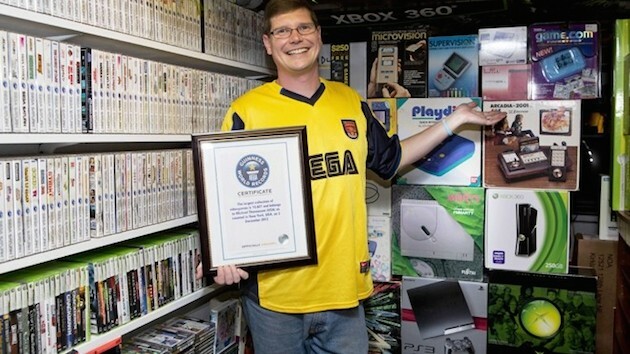 Miss your chance at grabbing the largest video game collection that went up for auction earlier this year? Well now's your chance to fix that grave error -- possibly even at a discount. Due to legal reasons, Michael Thomasson can't divulge exactly why the sale fell through, but he's not looking for "anywhere near" the amount ($750,250) that it went for in June, according to an interview with Rawrcade. Thomasson is apparently considering re-listing the 11,000+ game-collection somewhere like Christie's and may even entertain a direct sale to someone that wants to get their own name in the Guinness Book. That's your cue to start emailing, everybody.